We are interested in characterizing the mechanical load on the respiratory system of obese pigs during wakefulness and sleep. These animals exhibit sleep-disordered breathing, manifest by characteristics similar to the human obstructive sleep apnea/hypopnea syndrome including inspiratory flow limitation (FL). During inspiratory FL, airflow becomes dissociated from the driving pressure; under these conditions, traditional measures such as resistance may not be suitable for describing mechanical load. Therefore, the purpose of this study was to mathematically describe the resistive pressure-airflow relationship during FL and non-FL inspirations. 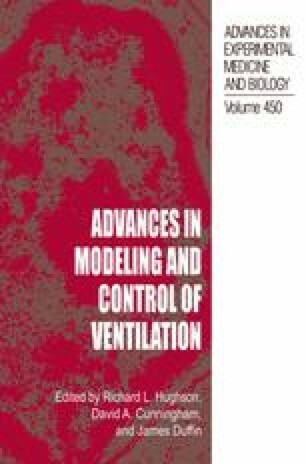 To accomplish this, two models of the resistive pressure-inspiratory airflow relationship during FL and two models for non-FL inspirations were compared for their ability to fit experimental data. The parameters of these models were then correlated with airway resistance.